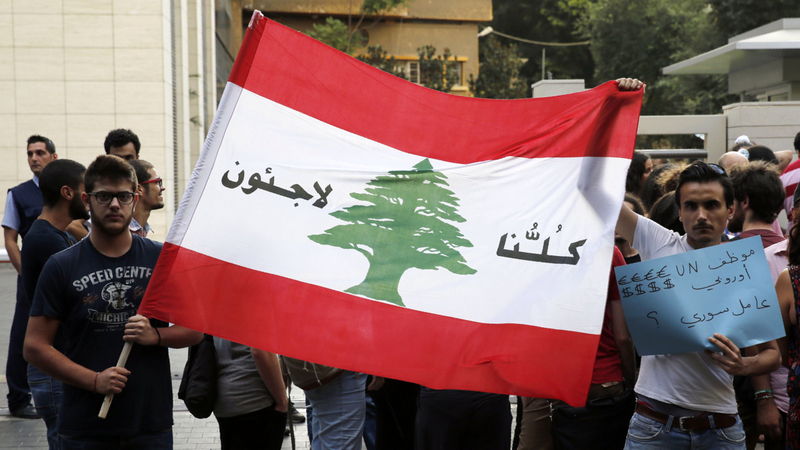 FRUSTRATION: Lebanese protesters in Beirut hold a national flag on which is written in Arabic "We are all refugees" during a demonstration against a curfew on Syrian refugees. The Future Movement, led by Saad Hariri (Sunni), son of slain former Prime Minister Rafiq. Confessional, but not Islamist, movement. Hizbullah, led by Hassan (Shia). Controls a sizeable parliamentary bloc and the country’s largest military arsenal. Islamist movement. Free Patriotic Movement, led by General Michel Aoun (Christian). Ally of Hizbullah since 2006. Amal, led by Nahib Berry (Shia). Confessional, but not Islamist, party. Progressive Socialist Party, led by Walid Jumblatt (Druze). From 1975 to 1990, the country was devastated by civil war. Much of this period was characterized by ‘proxy wars’, with one or several of the fighting parties allied with or receiving support from external powers, the real aim being to shake the balance of power between the superpowers. Today, Lebanon stands as a buffer state for Europe, against the threat from IS and the refugee crisis. 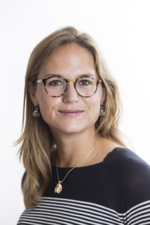 Tine Gade, Senior Research Fellow at NUPI, has interviewed political leaders, economists, international organization staff, academics and journalists, seeking to find out how Lebanon can remain fairly stable, but balanced on knife-edge – and what might tip the country over. She identifies five main threats to this stability: three security threats, plus one political and one economic. Lebanon is a small state with of a population of less than 4 million The Syrian civil war is being fought dangerously close to the border – and Lebanon has already received some 1.5 million refugees fleeing that conflict. ‘The first security threat is the risk that the IS will open a front in Lebanon. 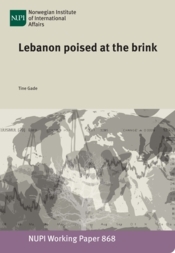 Until now, the group has viewed Lebanon as a place for retreat’, Gade explains. ‘The second threat concerns Hizbulllah’s domestic political ambitions and Israeli fears of the group’s expanding military power.’. She goes on to explain that Hizbullah, with its strong standing in Lebanon both militarily and politically, will not return to Syria in the near future, but that the group has drawn certain ‘red lines’, which it requires Lebanon to respect. Moreover, the group has already been strengthened in Syria. It has lost important leaders, but new ones have emerged. The third security threat identified by Gade is also connected to the civil war in Syria. Politically, the biggest threat is a gradual undermining of democracy in Lebanon. 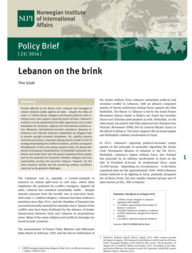 Despite a fragmented history characterized by internal and external threats, Lebanon has remained a relatively stable country in a conflict-prone region. Gade has sought to understand what keeps the country from a complete breakdown.